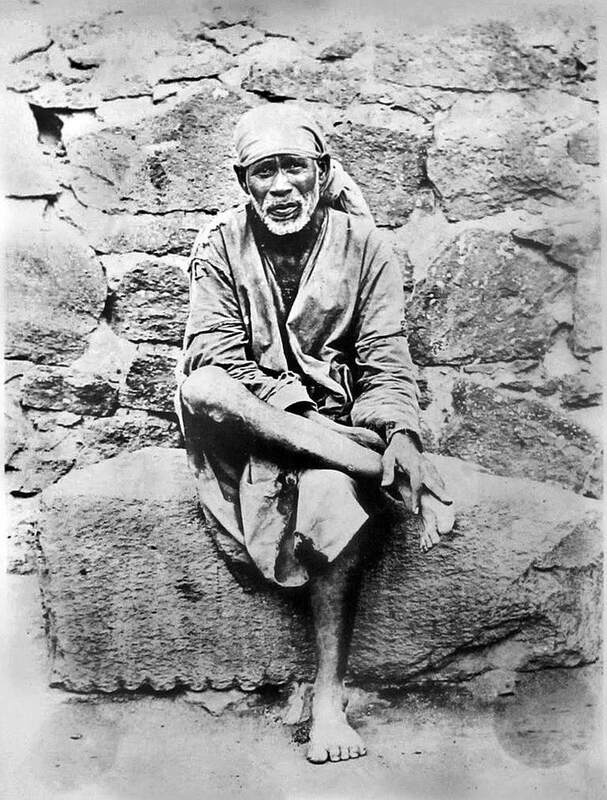 Sai Baba of Shirdi holds a unique place in the rich tradition of saints in India. 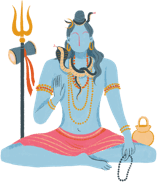 Much is unknown about his origins and life, but he is revered by both Hindu and Muslim devotees as an embodiment of self-realization and perfection. Although in his personal practice Sai Baba observed Muslim prayer and practices, he was openly disdainful of a strictly orthodox practice of any religion. Instead, he believed in the awakening of mankind through messages of love and righteousness, wherever they came from. The early life of Sai Baba is still cloaked in mystery as there isn't any reliable record of the Baba's birth and parentage. It is believed that Baba was born somewhere between 1838 and 1842 CE in a place called Pathri in Marathwada in Central India. Some believers use September 28, 1835, as an official birth date. Virtually nothing is known about his family or early years, as Sai Baba rarely spoke of himself. When he was about 16 years of age, Sai Baba arrived at Shirdi, where he practiced a lifestyle noted by discipline, penance, and austerity. At Shirdi, Baba stayed on the outskirts of the village in Babul forest and used to meditate under a neem tree for long hours. Some villagers considered him mad, but others revered the saintly figure and gave him food for sustenance. History seems to indicate he left Pathri for a year, then returned, where he again took up his life of wandering and meditation. After wandering in the thorny woods for a long time, Baba moved to a dilapidated mosque, which he referred to as "Dwarkarmai" (named after the abode of Krishna, Dwarka). This mosque became the abode of Sai Baba until his last day. Here, he received pilgrims of both Hindu and Islamic persuasion. Sai Baba would go out for alms every morning and shared what he got with his devotees who sought his help. The abode of Sai Baba, Dwarkamai, was open to all, irrespective of religion, caste, and creed. Sai Baba was at ease with both Hindu scriptures and Muslim texts. He used to sing the songs of Kabir and dance with ‘fakirs’. Baba was the lord of the common man, and through his simple life, he worked for the spiritual metamorphosis and liberation of all human beings. Sai Baba's spiritual powers, simplicity, and compassion created an aura of reverence in the villagers around him. He preached righteousness while living in simple terms: "Even the learned are confused. Then what of us? Listen and be silent." In the early years as he developed a following, Baba discouraged people from worshiping him, but gradually Baba’s divine energy touched the chord of common people far and wide. The congregational worship of Sai Baba began in 1909, and by 1910 the number of devotees grew manifold. The ‘shej arati’ (night worship) of Sai Baba began in February 1910, and the following year, the construction of Dikshitwada temple was completed. Sai Baba is said to have attained ‘mahasamadhi' or the conscious departure from his living body, on October 15, 1918. Before his death, he said, "Do not think I am dead and gone. You will hear me from my Samadhi, and I shall guide you." The millions of devotees who keep his image in their homes, and the thousands who throng to Shirdi every year, is a testimony to the greatness and continuing popularity of Sai Baba of Shirdi.